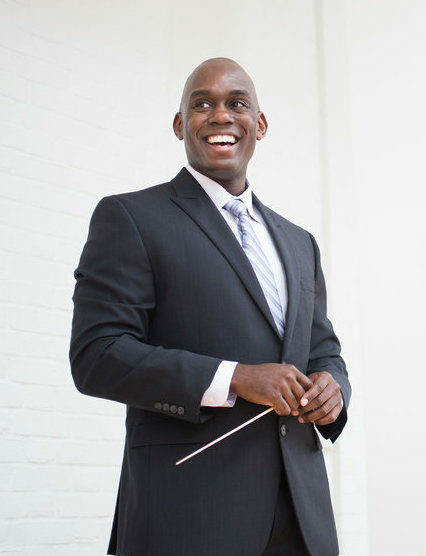 With a scant one week’s notice, guest conductor Joseph Young stepped in on January 31 for an ailing Jonathon Heyward, who was himself about to guest conduct the Berkeley Symphony during their year-long search for a new Musical Director. 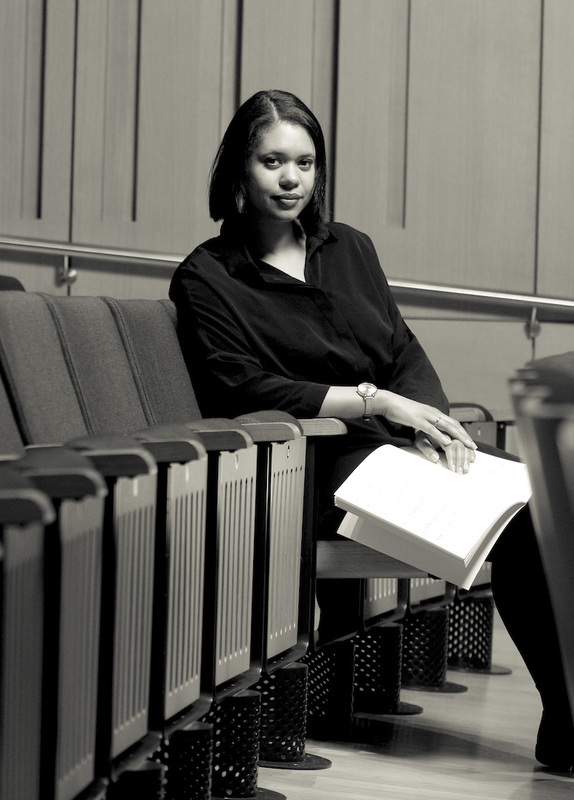 That one week was a very short time to learn the music, but Young stepped up to the plate (or podium, rather) and conducted with clarity and passion, leading the Berkeley Symphony musicians in a top-notch performance. The program was intriguing and difficult, three works tied into an unusual whole by their use of texts and piquant orchestral colors. This was to be an evening about youthful and graceful conducting, and small towns and gossip, and racism and urban angst. Opening the program, Benjamin Britten’s Four Sea Interludes filled Zellerbach Hall with dramatic storms and the thin keening of the sea. Flutists Emma Moon and Stacey Pelinka painted that expansive canvas with a high drone, part wind and part raw cry of the seagull. Low brass answered, and their phrases pulled back and forth like the rhythmic ebb and flow of the sea. In the second Interlude the French horns stepped slowly past each other, a shrouded and froggy dissonance that created a backdrop for the quick gestures and internal rules of village life. Busy cross rhythms and jazz infusions bloomed and then closed down with the slow tolling of church bells. Excerpted and then embroidered for orchestra, these interludes were taken from Britten’s opera, Peter Grimes. This is a story of small town miseries huddled against an empty sea, and of love that cannot conquer, and of the death of a child. The strings gave us big breathing chords, huge harmonies that slowed to reverential, and in the final interlude the brass built lines of bedlam, storming at sea. The two seamless movements each stopped for a quote from the book read by actor Michael J. Asberry. The work was a practice in silence and explosive bird calls, monotones and rich textures, and like the Britten, flute and percussion were prominent. Kendall created a loose weave with bits of sound and lots of air. Percussionist Ward Spangler shook maraca and tambourine, hesitant as the hiss-tsk of evening bugs, and flute replied with short colorful runs. Then flute joined bassoon in long notes with warmth and edge, and bass trombone filled out the low register against higher dissonances. The second movement was played on a single note, but one might not know that from the rich and varied textures and playful rhythms. There was something powerful and hidden about that monotone, and perhaps about identity and invisibility. This was uncomfortable music, and as unresolved as the issues it reveals. “What was that single unison note in the second half of Dreamer?” I asked principal cellist Carol Rice, when I ran into her at the after-party. “And I love this conductor,” she added. The evening was made whole with Leonard Bernstein’s The Age of Anxiety, a brilliantly conceived work based on W. H. Auden’s despairing poem, full of isolation and the angularity of machines and the lilt of jazz. This was Bernstein’s second symphony, and he called it a Symphony instead of a Concerto even though piano is a full partner with orchestra. But the piano was Bernstein’s instrument, and perhaps his own voice here. 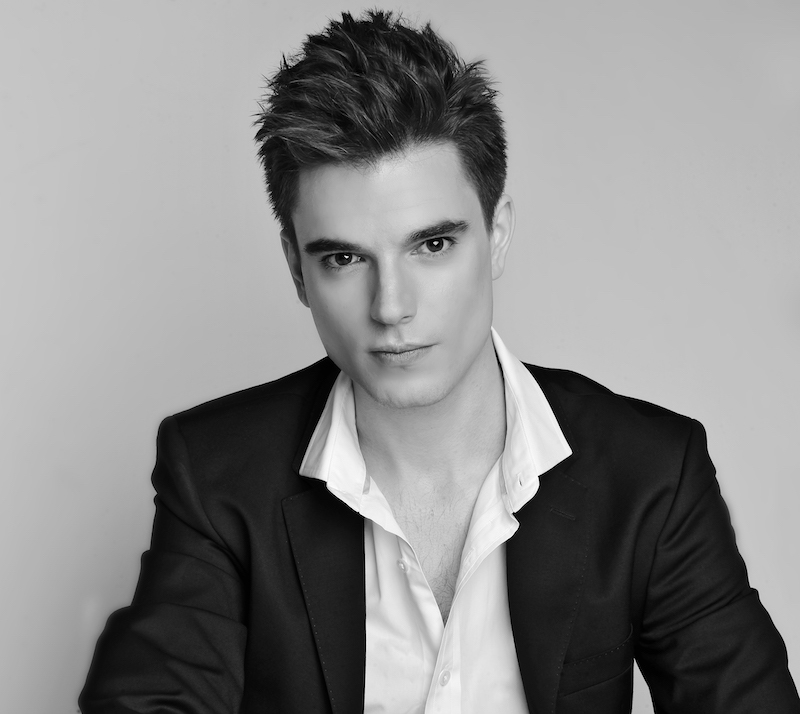 Andrew Tyson performed that part with pizazz and then some, and even took a dip into the realm of jazz. Clarinetists Roman Fukshansky and Bruce Foster set a fragile tone, isolated even as they mused together, and flute intoned a long descending scale, or not so much a scale as a tone row, that recurs throughout the work. Tyson was mesmerizing in his slow moments and fierce in his attacks, and throughout the many variations the clarity of his runs was astounding. “This concert was one of my favorites in years,” exclaimed a long-time patron. Between the daring programming (thanks to the ailing Jonathon Heyward), the firmness of the conducting, the game spirit of the musicians of the Berkeley Symphony, and Tyson’s prodigious talent, we had a winner. Photo top of conductor Joseph Young, photo by Jeff Roffman; below, composer Hannah Kendall, photo by Kiran Ridley; and bottom, pianist Andrew Tyson, photo by Sophie Zhai.